The Children’s Friend Annual 5K Walk & Run is a huge tradition at the agency. This week, I’d like to highlight the tremendous efforts of our staff teams. Each year, a friendly competition grows between our sites as staff work towards the goal of raising the most dollars for the event. Besides bragging rights, there are two ways for staff teams to win: raise the most money as a site team and/or raise the most money per team member. The best part is that the winning team(s) choose how the dollars are used at their site to best benefit our children and families. Above and beyond their important work, our staff really get creative with their team fundraisers – we’ve seen everything from pot lucks and bake sales, to raffles, kid art sales and exhibitions, Taco Tuesday lunches, make your own grinders at Grinderpalooza, and so much more. Today marked the beginning of a four-week competition, The Great Hartford Bakeoff, at our Hartford Center. If you’re familiar with the PBS show, The Great British Bake Off, you’ve seen this in action. A series of bake offs with a common theme sets the stage for friendly competition. It’s definitely a favorite show of mine and such a new, fun way to support the Walk. The goal is to name the best and the brightest bakers at Children’s Friend, all while raising donations for the Walk. 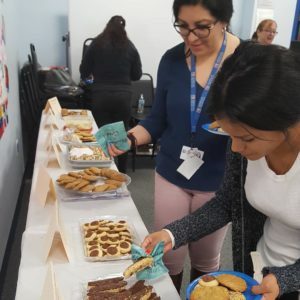 Each week, “judges” pay to test the delicious creations and cast their vote for the best. 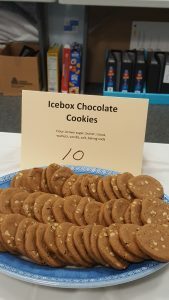 This week’s theme was cookies of any kind – as long as they were delicious! Week four culminated with the King or Queen of the Cakes! 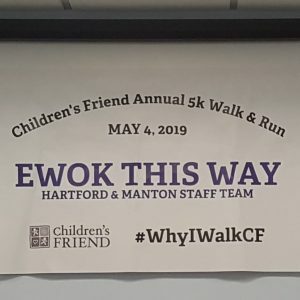 I’m just blown away by the hard work and dedication of our staff and amazed at their creativity each year in finding new ways to support the Walk. Our children and families are at the heart of what we do and fundraising for the Walk is no exception. Many thanks to our staff for all they do on behalf of vulnerable children and families every single day and especially for the extra effort they put in to support our annual event. 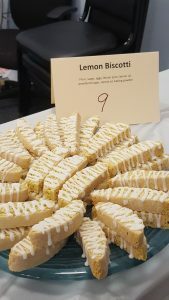 Here’s some fabulous photos from today’s Great Hartford Bakeoff – I hope they inspire you to fundraise for children and families in need.